Scott Essential provides reliable balance of efficiency, performance and value. 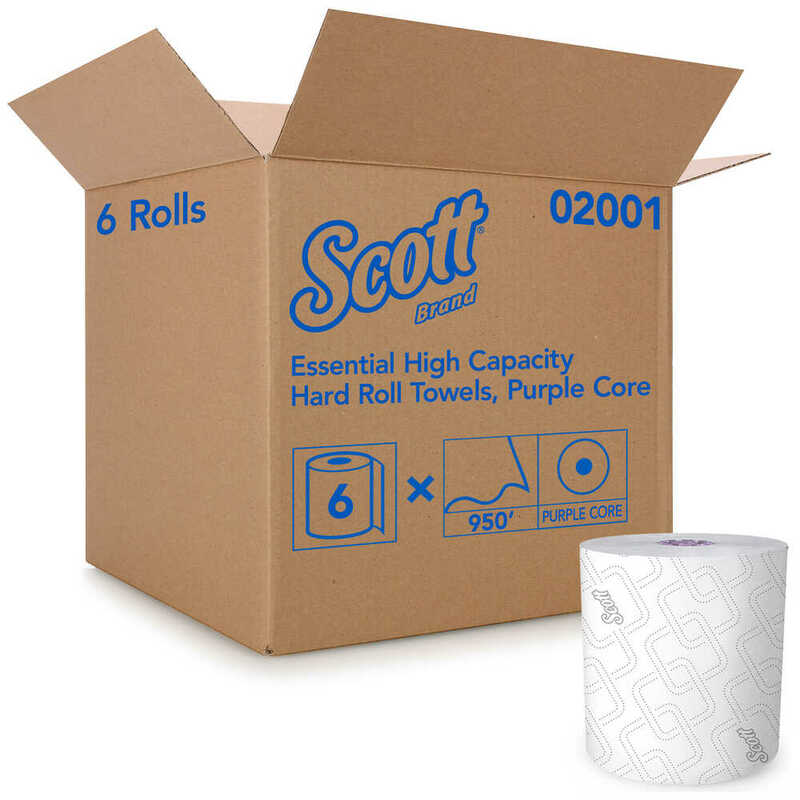 You have more important things to think about than paper towels, so you can trust Scott Essential Hard Roll Paper Towels with Absorbency Pockets. 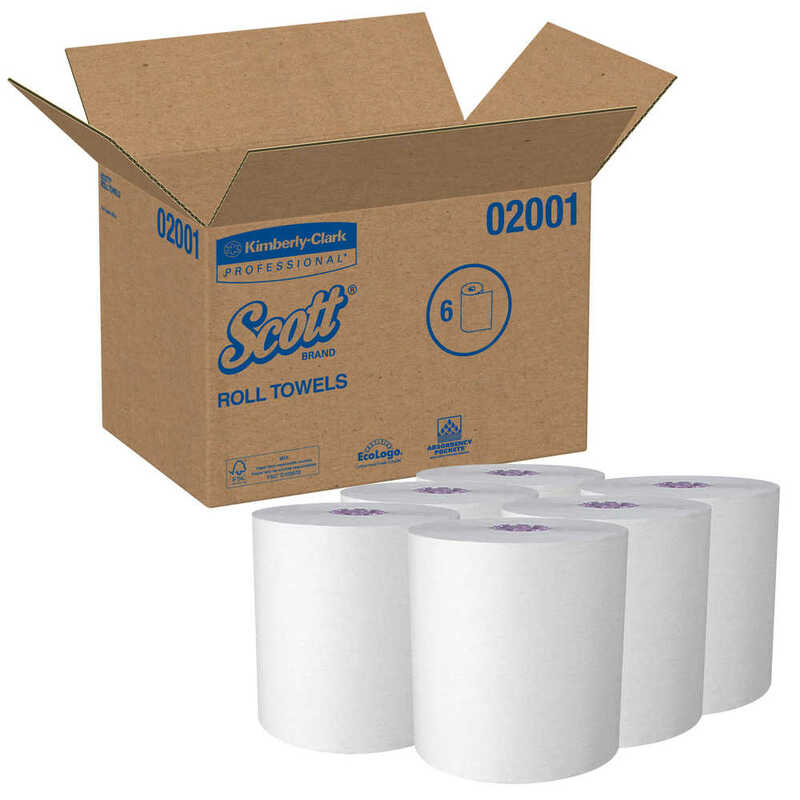 They are compatible with the innovative Scott Essential Towel Dispenser System, a simple solution to keep you moving in a hectic, fast-paced world. 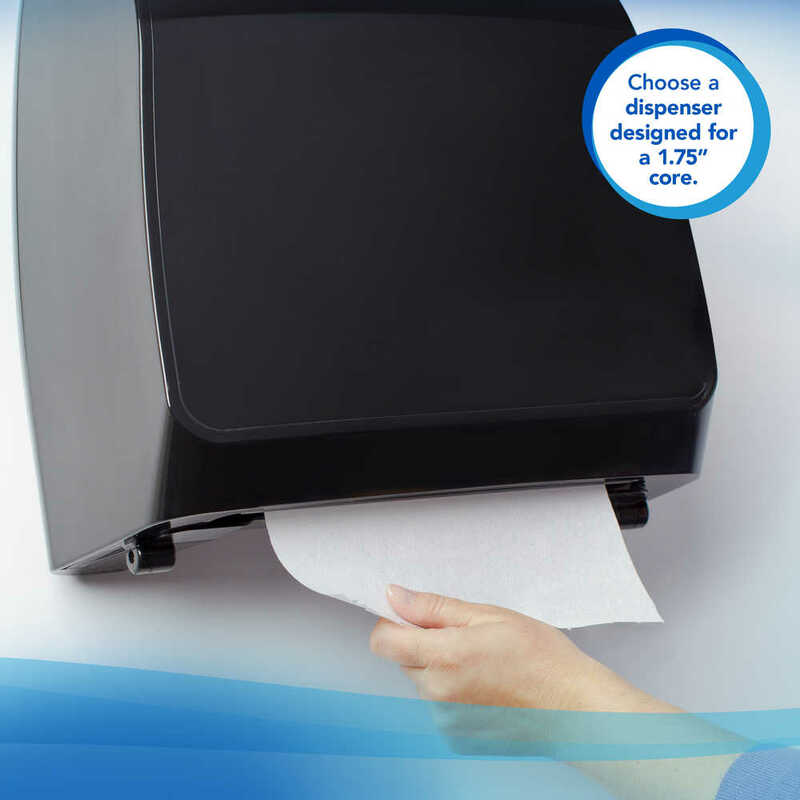 The manual (battery-free) & electronic paper towel dispenser offers one of the fastest roll change times on the market – up to seven days a year in labor savings). 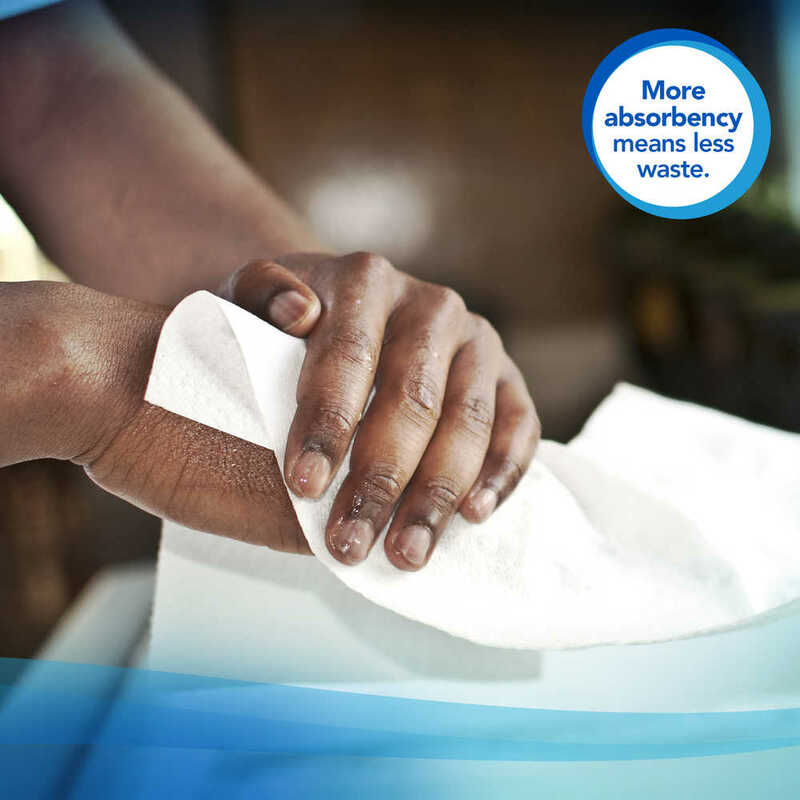 The Scott Essential Paper Towels are soft, unperforated and feature innovative Absorbency Pockets, which soak up water fast. 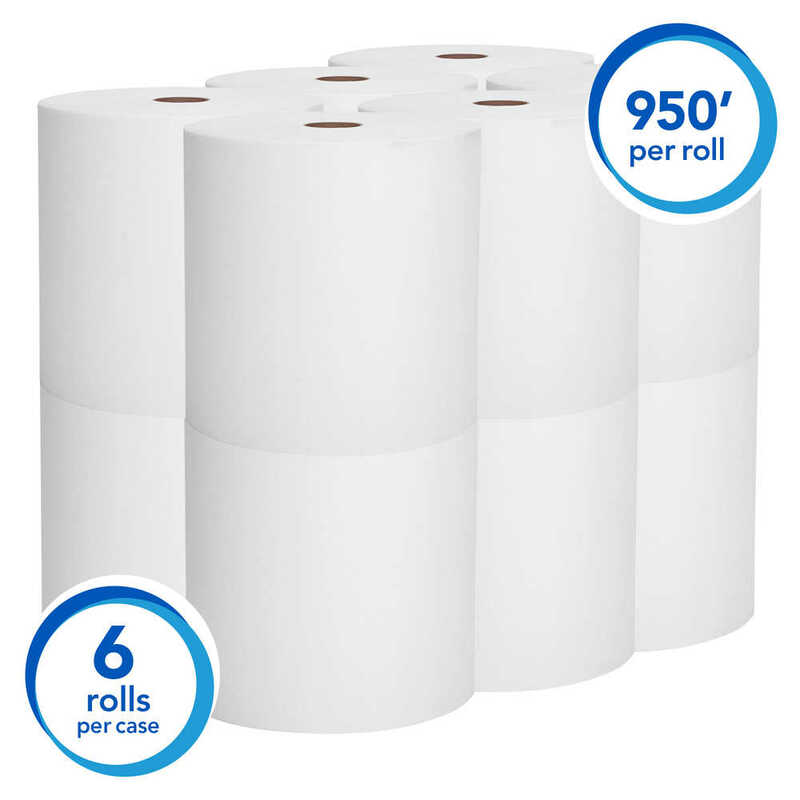 Each roll measures 8 inches by 950 feet, and EcoLogo and FSC certified and meets the EPA minimums for post-consumer waste. Plus, the Scott Essential Towel Dispenser System is backed by a lifetime warranty and is designed to save you time and money, while reducing service disruptions and user complaints. 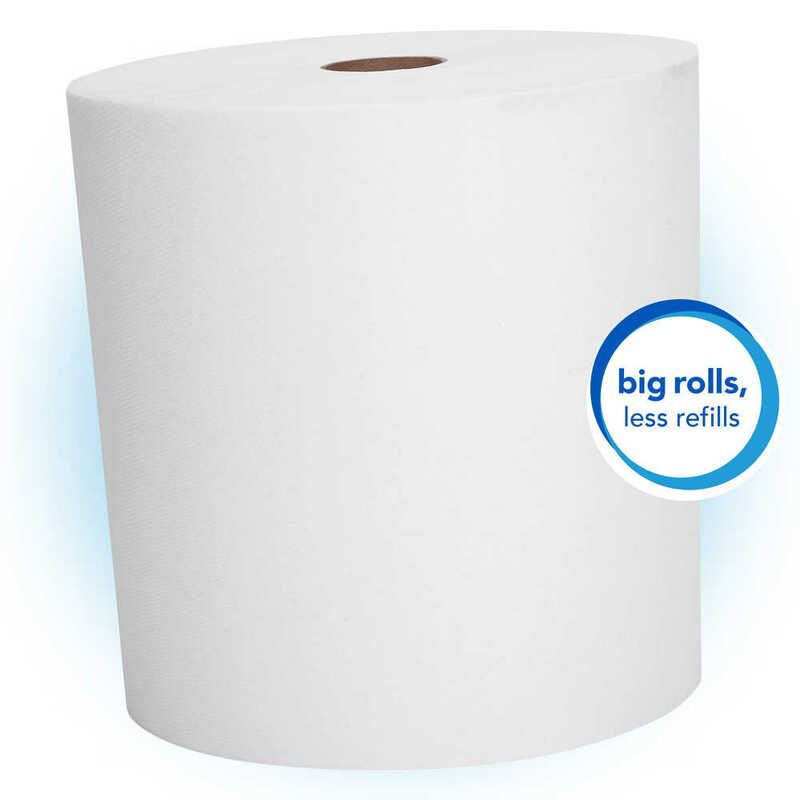 It takes the worry out of paper towel dispensing, so you can focus on more important things.